IDE installation: Step-by-step instructions for setting up the Arduino software and connecting it to an Arduino Uno, Mega2560, Duemilanove, Mega, or Diecimila. Environment: Description of the Arduino development environment (IDE) and how to change the default language. 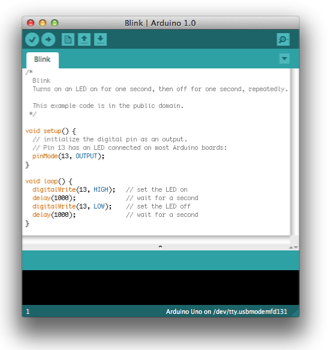 Online language reference for Arduino programming, using the free IDE development environment.